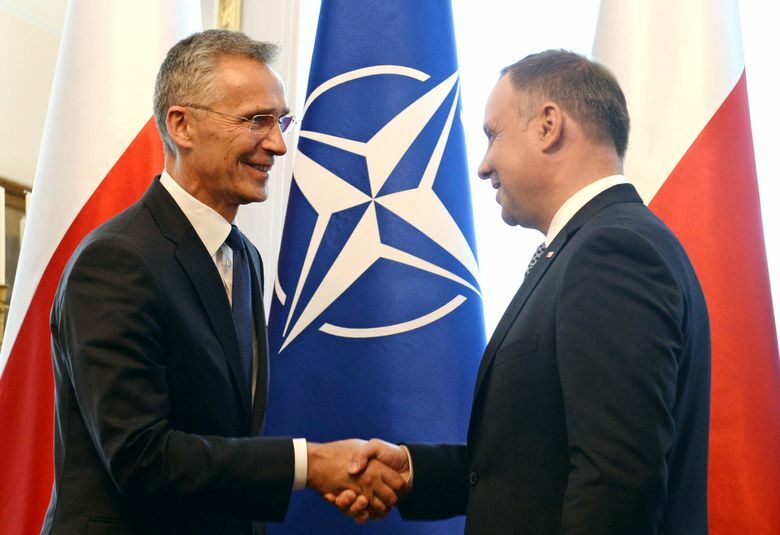 WARSAW, Poland (AP) — Poland’s prime minister on Monday called a planned Russian gas pipeline, Nord Stream 2, a “new hybrid weapon” and says Moscow wants to use it to undermine NATO and the European Union. 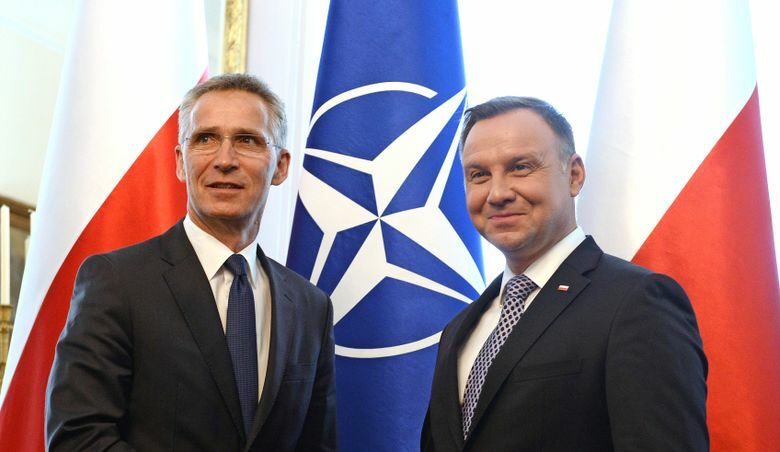 Mateusz Morawiecki called Nord Stream 2 “a poisoned pill of European security” as he addressed a NATO Parliamentary Assembly meeting in Warsaw. The Nord Stream 2 project would double the amount of natural gas Russia can funnel directly to energy-hungry Germany from newly tapped reserves in Siberia, intentionally skirting Eastern European nations like Poland and Ukraine. The United States and some other EU members share Poland’s opposition to the project, warning that it could give Moscow greater leverage over Western Europe. The debates have created divisions within the EU, for example between Poland and Germany, neighbors and important trade partners. Russian President Vladimir Putin has suggested that the U.S. opposition to the Nord Stream 2 stems from President Donald Trump’s desire to encourage exports of the U.S. liquefied natural gas, which is supplied by ship and is considerably more expensive than Russian supplies. 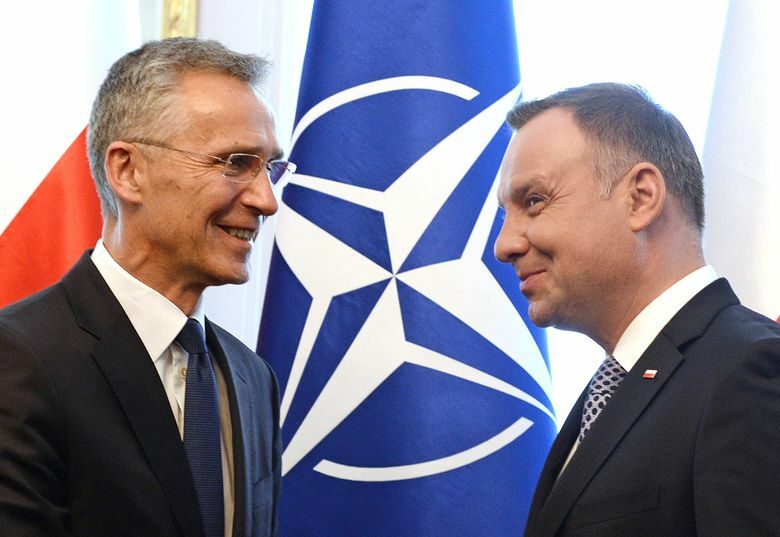 Polish President Andrzej Duda also gave his own warning of Russian intentions in Eastern Europe. “With regret it must be said that Moscow has never come to terms with the collapse of the imperial Soviet Union. The invasion of Georgia and the unlawful annexation of Crimea and military intervention in Ukraine illustrate the real intentions of Russia,” Duda said. He was referring to the Russia-Georgia war of 2008, as well as to Russia’s annexation of the Crimean Peninsula in 2014 and support for pro-Russian rebels in Ukraine’s east, where a war is still ongoing. 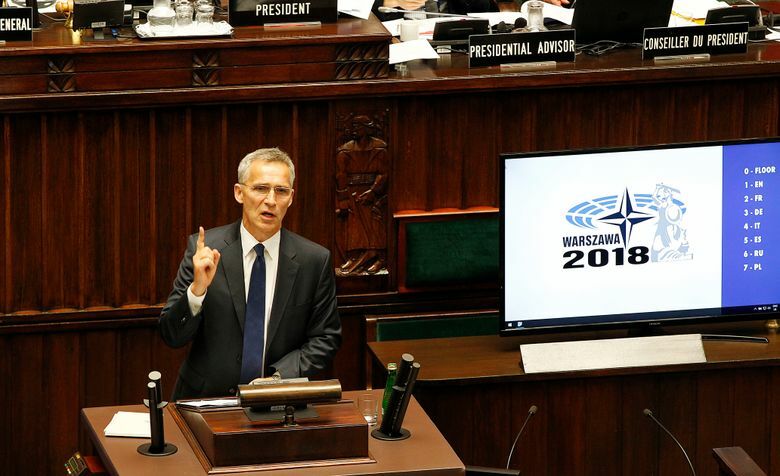 NATO Secretary General Jens Stoltenberg told the assembly that a decisive stance is needed toward Russia while leaving open the chance for dialogue. He said Russia is interfering in democratic processes in other countries, for instance by carrying out cyberattacks. He also called on Russia to accept responsibility for the downing of the Malaysia Airlines plane over Ukraine in 2014 — an appeal he also made on Friday.